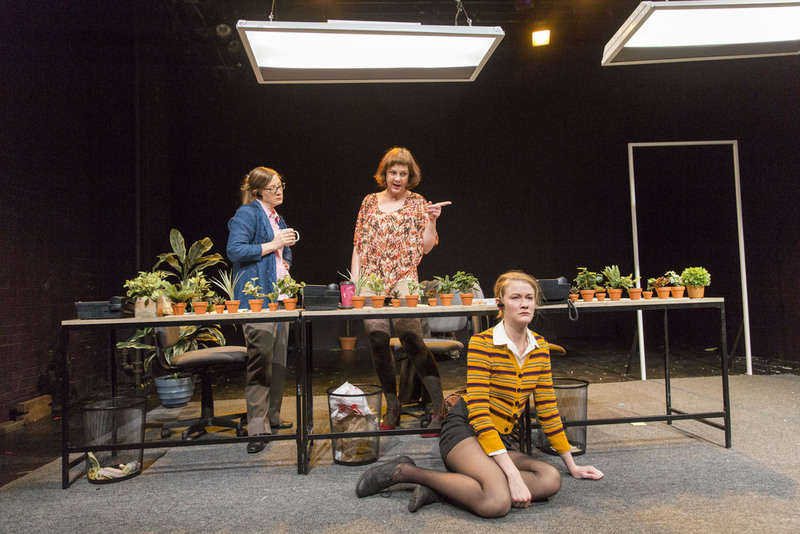 The Drama League "DirectorFest 2015"
Kate is a perpetual temp. This week, Kate is a receptionist at Morerand Cybernautics Hardware and Software. 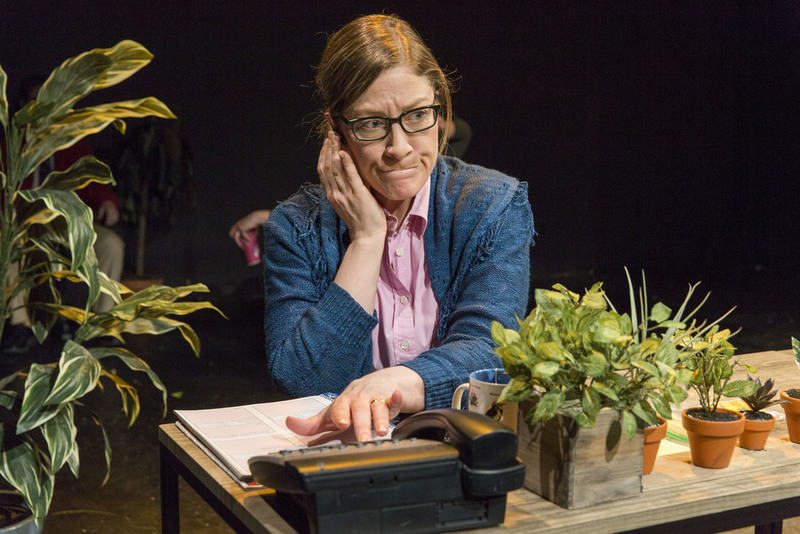 While fielding calls from impatient octogenarians and managing her co-workers' neuroses, she daydreams about violence in the office and a world in which she is the master of her own destiny. 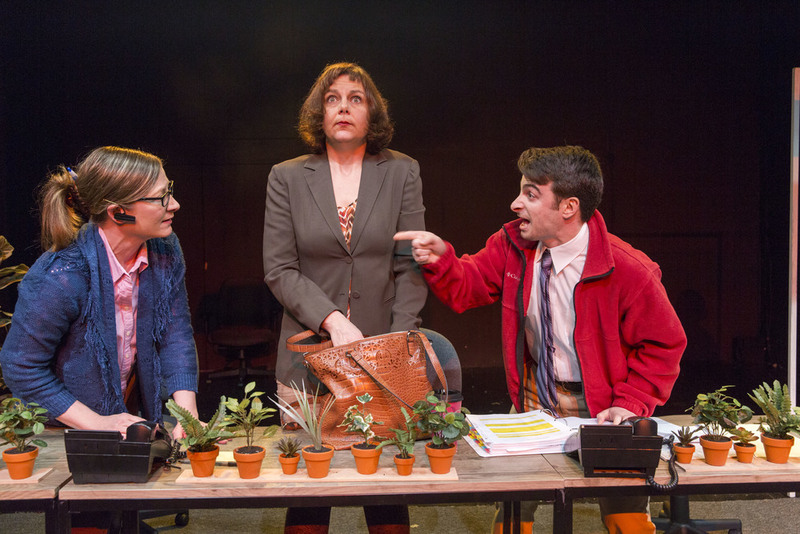 This catastrophic comedy, written by Anne Washburn, unearths the deeper indignities of the workplace, and the dark desires that arise when we grapple with our own self-worth. The Drama League presents DirectorFest 2015: The 32nd Annual One-Act Festival, an evening of four short plays staged by the Drama League Directors Project Fall Directing Fellows Estefania Fadul, Annie Tippe, Sarah Elizabeth Wansley, and Brandon Woolf for a limited 5-performance engagement December 12 - 15, 2015 at TBG Theatre.